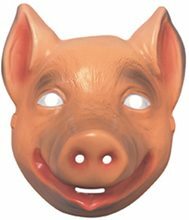 Pig Kit with Sound.Includes: Headband, nose with an elastic strap, and the tail fastens by a safety pin.Features: Press nose to start up a pig sound effect.Our Pig Set With Sound is perfect for creating that little pig for the school play. Just add tights for a perfect dance costume. 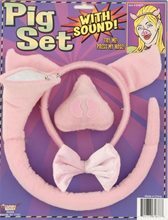 The Pig Set with Sound has ears are on a headband, nose with an elastic strap, and the tail fastens by a safety pin. 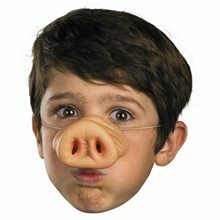 Press the nose to start up a pig sound effect. 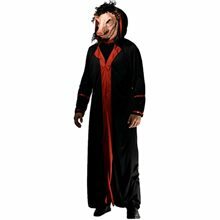 Saw Pig Economy Adult Men Costume;This deeply disturbing costume includes the infamous year-of-the-pig mask, a ceremonial red-trimmed, black fabric robe with detachable hood--perfect for lounging, and black gloves. Hand wash. Polyester.Does not include shoes. 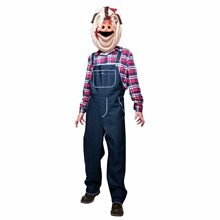 This is an officially licensed Saw costume.The costume available in small,medium & large size. 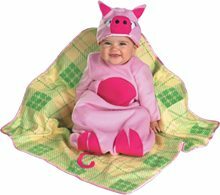 Olivia Pig Toddler/Child Costume.Includes: Dress, leg warmers and ears headband. Available Size: Toddler (2T-4T), Child - Small (4-6). (See Size Chart For More Information) *Shoes Not Included. Accessories Sold Separately. A cute little pink pig! 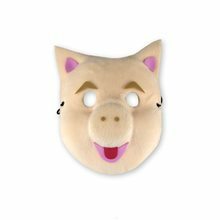 She'll go on a great adventure dressed as this pretty little pig this Halloween! 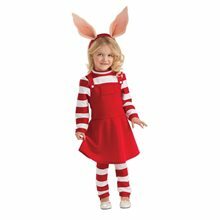 The Olivia Toddler / Child Costume includes a red jumper style dress with an attached striped shirt, a pair of matching leg warmers, and character ears headband.